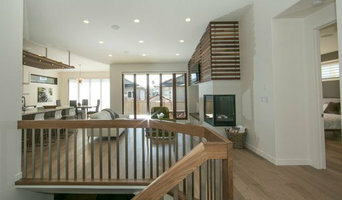 3 Time Winner - Best of Houzz! ProRail Systems takes pride in delivering the utmost quality of workmanship in every product and service provided for our clients. We ensure that each of our handrail systems is of premium quality by fabricating all of the materials in house. 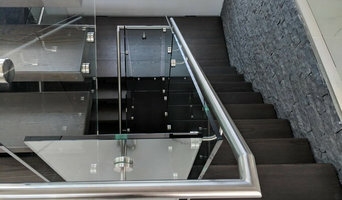 Whether you are looking for straight or circular stairs; new construction or renovation; our team can conceptualize and design a custom product that meets your needs. 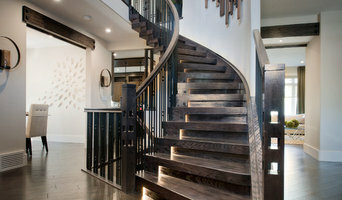 Stainless Dreams® Ltd. is the designer, manufacturer, and installer of high-quality, custom-made stairs and railings. We work with metal and glass to create our clients vision. We also make custom outdoor deck railings and posts to make the view from your deck look spectacular. If you can dream it, we can build it. 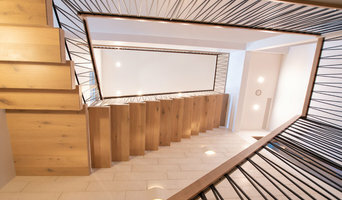 At Architech Stairs & Railings we take great pride in facing design challenges that most other companies will not. We have manufactured some of the most technical and structurally challenging staircase systems available. Our ability to tackle more sophisticated designs also allows us to offer a wider range of choices to our clients. It is of the utmost importance to recognize what our customers are looking for and if they are not certain, act in an advisory role to deliver amazing designs which will exceed their expectations. We serve Edmonton, Red Deer, Calgary and the surrounding areas. If you have an idea or have seen something you would like in your new or existing home be sure to contact us. Allow us the opportunity to deliver a stunning design for your home. 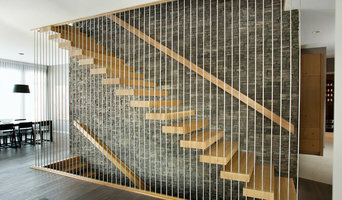 Please view our gallery and introduce yourself to the beginning of endless staircase possibilities. In 1983 Larry and Colleen Halliday started Spindle Factory with a small saw and a spindle copier lathe. Over 30 years later and the same lathe is still being used to make spindles. With over 70,000 SQF of production facility in the city of Edmonton, we proudly manufacture our products from a wide range of raw materials supplied by the best in the industry for absolute highest standards in quality and workmanship. We have invested in new technology and state of the art equipment to produce parts efficiently and with high standard of quality. Over 95% of the product we sell as parts or as install are made by us in the Edmonton Plant. We strongly believe in Canadian made product for Canada. Having the future of the planet in mind, we make every effort to recycle and promote proper use of natural and raw materials. We consider customer service to be priority one. Whether you'd like us to set you up to do a "Do It Yourself" install, or if you wish for us to send a professional installer to do it for you, we will try our best to make sure that you're taken care of.